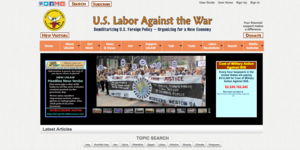 USLAW relies solely on its affiliated labor organizations and individual supporters for the resources it needs to carry on the work they value. A donation in any amount will be greatly appreciated. Consider becoming a sustaining donor with a monthly contribution billed to your credit or debit card. USLAW's new website has interactive features, like discussion forums, that require a website user account. It's free and allows you to participate in forum discussions. From time to time new features will be added. 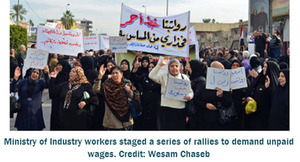 Support the Iraqi labor movement with a donation to the USLAW Iraq Labor Solidarity Fund.